Space-saving linen cabinet helps you stay beautifully organized. 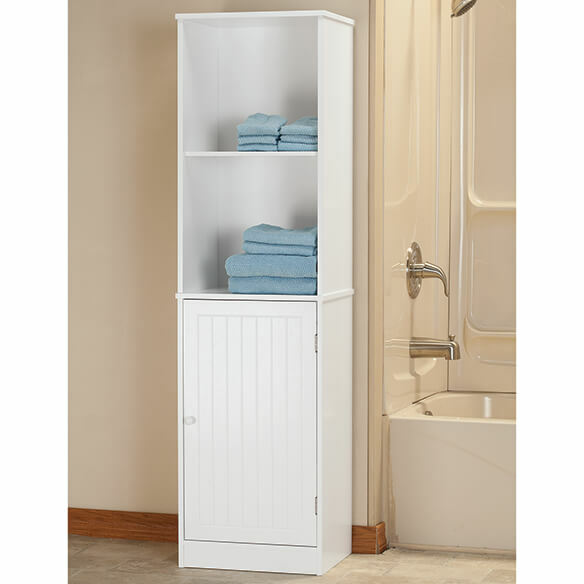 This Ambrose Collection Slim Linen Cabinet features a slim profile to fit in small spaces. You'll love the classic wainscot-style door and adjustable shelves on the top and bottom. 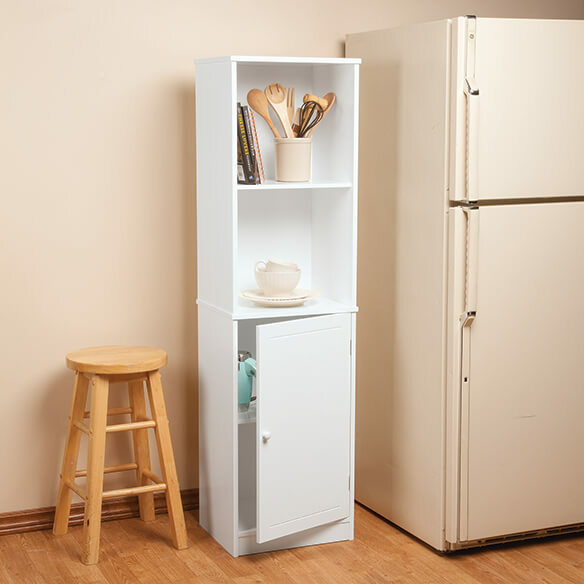 Measures 16 1/2"W x 13 1/4"D x 59 3/4"H overall, open area is 15"W x 12 3/4"D x 29 1/4"H with a shelf that adjusts to 13", 15" or 17", cabinet is 15"W x 12 3/4"D x 26 1/4"H with a shelf that adjusts to 12" 14" or 16"